Written by Charles on July 5, 2018 in Blog. If you can relate with those words, then you’ll be pleased to learn about the beer, wine and spirits that are produced locally here in Maui. Let’s get started! 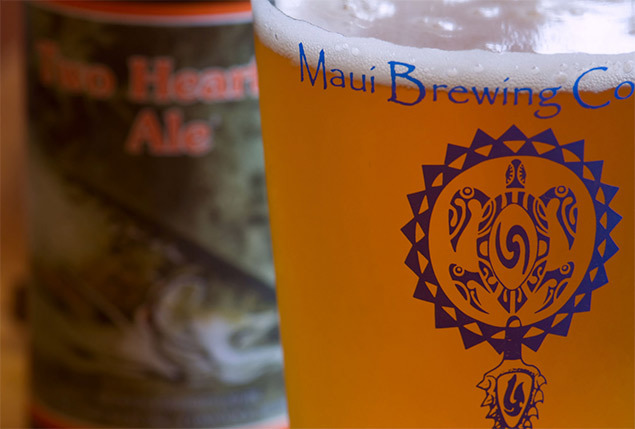 If you could only try one Maui-produced beverage, it would have to be the beer from Maui Brewing Company. You can find MBC beer on tap in restaurants (they have four of their own) and bars across Maui and in cans in nearly all markets across Hawaii, or even on your Hawaiian Airlines flight. Better yet, go straight to the source and visit the Tasting Room in Kihei. BONUS: for another Maui-brewed beer, try Kohola Brewery in Lahaina. Next time you’re in Foodland, look for the blue glass net float-inspired bottle, tilted at just the right angle to mimic the Earth’s axis. 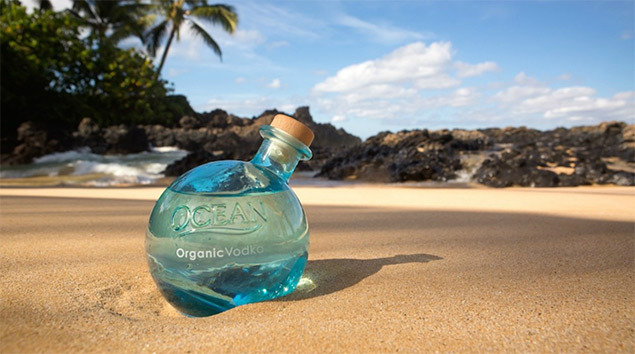 That’s Ocean Vodka, which is produced in Kula using organic cane sugar and deep ocean mineral water. Of course if you’re up for the drive to upcountry Maui, you can take a tour of the distillery and sample the goods in the fresh mountain air and beautiful scenery. BONUS: the same distillery also makes its own “Kula Rum” from the same organic sugar cane and deep ocean mineral water. Choose from white, dark or toasted coconut varieties. 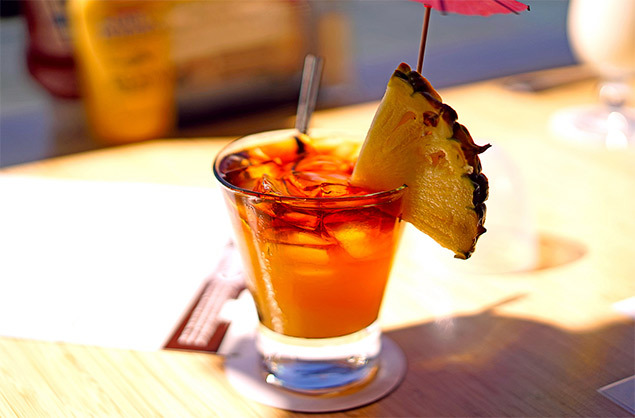 If there’s one beverage that fits smoothly with the laid-back island life, it’s rum. Haleakala Distillers — a family-owned distillery also located in Kula — has been crafting small, tasty batches of rum since 2003. Fun fact: this rum in produced in such small quantities that they are some of the rarest spirits on earth. Choose from Maui Platinum, Gold (my personal favorite), Dark, Braddah Kimo’s Extreme 155 Proof, Reserve Gold and Okolehao Liqueur (a Hawaiian spirit distilled from the ti plant). 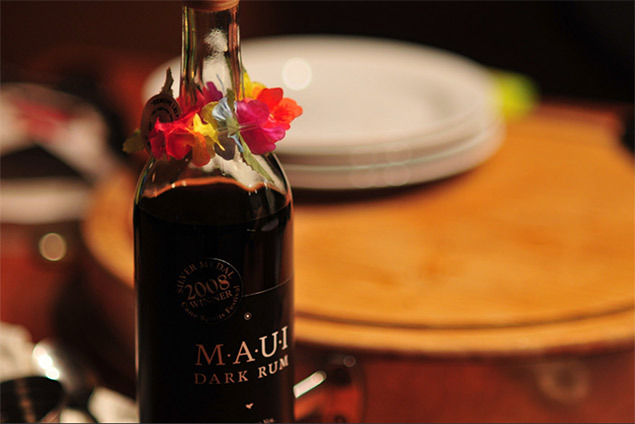 Maui Rum is very hard to find on the mainland, so imagine how special a bottle would be if you bought one in Maui and took it home in your luggage! Wine from Maui? That’s right, there’s a winery on Maui called MauiWine (Ulupalakua Vineyards) that’s been in business for 44 years. The wines include pineapple varietals Maui Blanc, Maui Splash and Hula o Maui (sparkling); Malbec, Syrah, Rosé, Chenin Blanc, Grenache, dessert wines and more. 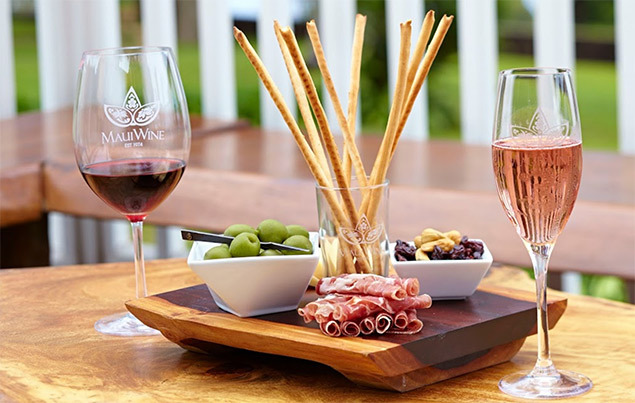 MauiWine also offers tours and tastings seven days a week in King David Kalākaua’s original King’s Cottage on their vineyards in Kula. In here you can sit at the 18-foot bar, crafted from a single, solid piece of Ulupalakua mango wood. ʻŌkole Maluna! (Bottoms Up!) Drink responsibly.